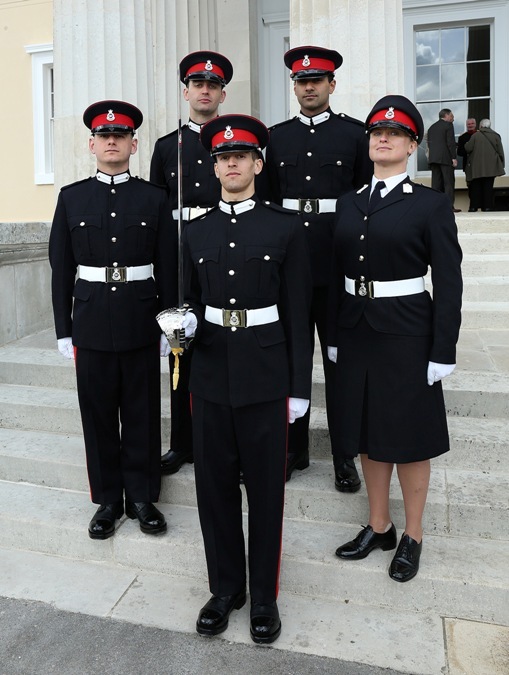 A University of London Officer cadet was presented with the MacRobert Sword at the Royal Military Academy (RMA) Sandhurst on Saturday as he passed out top of the class. 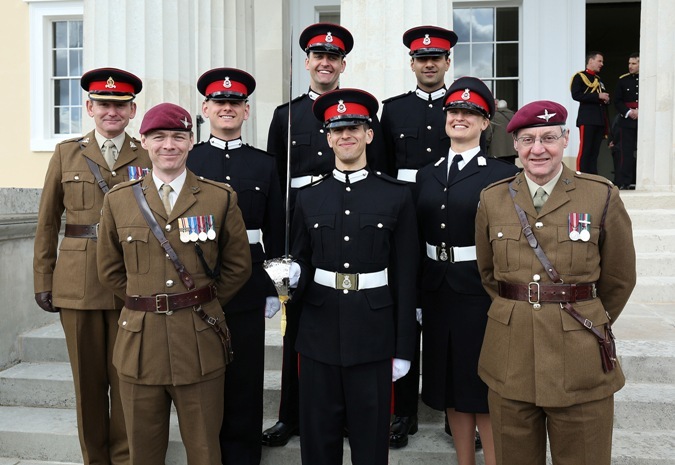 Officer Cadet Richard Harvey received the award as he joined four other University of London Officer Training Corps Officer Cadets in successfully completing the Army Reserve Commissioning Course. He will be taking up his commission with 131 Independent Commando Squadron Royal Engineers. The Passing Out Parade followed an intensive eight week course in command and leadership completed by all officers in the British Army. The Reserve Commissioning Course is demanding and challenging, and all candidates need to be fit, robust and determined; but on completion will be a capable leader, confident and ready to embark on a path to a successful dual career – in their chosen civilian profession and as a Reserve Army officer. As well as being awarded the Queen’s Commission, each Officer Cadet will earn Chartered Management Institute Level 5 Qualification in Management and Leadership. The new Officers will take up their Commissions with the following London-based units; 131 Independent Commando Squadron Royal Engineers, 101 Engineer Regiment EOD, Royal Yeomanry and 7RIFLES. It was a proud day for the Officer Cadets and their friends and families when they finally marched up the steps of Old College to be commissioned as officers at the end of a memorable pass out parade.